Minderoo Foundation chairman Andrew Forrest brandishes a plastic bottle while presenting at the Boao Forum for Asia on China’s Hainan Island. March 2019. Photo Credit: Minderoo Foundation. Minderoo Foundation chairman Andrew Forrest has called for a tax on polymer to disrupt the harmful global impact of single-use plastic production and pollution. At the Boao Forum for Asia in China last week, Mr Forrest said ocean plastic pollution was increasing at an alarming rate and risked “poisoning” the world’s oceans, marine wildlife and, ultimately, people if left to continue. Mr Forrest said the situation had become “sharply worse” following China’s decision to stop importing plastic waste from other countries, including Australia, for recycling. Mr Forrest applauded China for taking this step but said the decision had resulted in developed countries diverting plastic waste exports to other countries, predominantly in Asia, that lacked the capacity to safely process it. As a result, this waste risked ending up in our oceans. “I speak to you not as a business person but as a marine scientist,” said Mr Forrest, who is close to completing a PhD in marine ecology. Mr Forrest said a solution could be to institute a tax on virgin polymer, to make recycled polymer better able to compete in the production of plastics. Minderoo Foundation is conducting research on the optimum structure and implementation of such a tax and seeking support from oil, plastic and consumer businesses involved in the plastics supply chain. Minderoo launched the $100 million Flourishing Oceans initiative in July 2018. The initiative aims to drive ocean clean-up operations, develop comprehensive data and recommended actions on global fisheries, and establish Western Australia as a hub for world-class marine conservation research. Tess is the Minderoo Foundation Communications Manager. 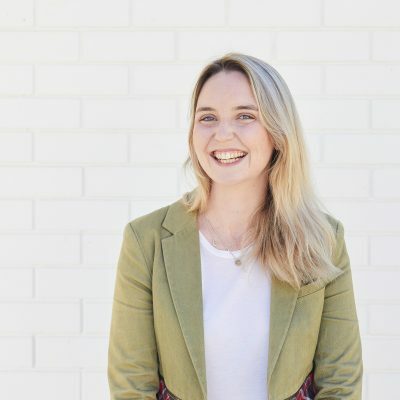 A former journalist, Tess joined Minderoo in 2017 from The Australian Financial Review.